Benjamin Franklin famously advised fire-threatened Philadelphians in 1736 that “An ounce of prevention is worth a pound of cure.” It’s also true when preventing infectious disease outbreaks. The 2003 severe acute respiratory syndrome (SARS) epidemic cost up to $40 billion. And the 2014 Ebola epidemic that claimed the lives of more than 11,000 people, including more than 500 health workers, had an estimated economic impact of $2.8 billion. Epidemic prone infectious disease threats are increasing due to a variety of factors, including rising incomes and globalization. While population growth, migration and deforestation have brought people closer to animal reservoirs of zoonotic pathogens, increasing the opportunity for pathogens to cross between animals and humans. In 2014, the Global Health Security Agenda (GHSA), a multilateral initiative, was established to bolster country-level capacity to prevent, detect, and respond to future outbreaks and prevent epidemics. In the three years since this commitment, the United States has deployed a multisectoral response and strengthened public, human, and animal health systems. On March 13, the U.S. Government released its 2018 GHSA report at the Implementing the Global Health Security Agenda: Progress and Impact from U.S. Government Investments event on Capitol Hill. The U.S. Government’s activities under GHSA have improved partner countries’ surveillance systems for zoonotic diseases; trained field-based epidemiologists, surveillance officers and other public and animal health workers; established or strengthened their national emergency operation centers; and improved logistics planning to facilitate the deployment of staff, medicines, and supplies during a public health emergency. In 2017, there were more than 25 reported public health emergencies in U.S.-assisted GHSA countries. With few exceptions, partner countries led the responses to these outbreaks by using the improved capacities built with the help of GHSA, the United States, and other partners. USAID has worked with national governments, the Centers for Disease Control and Prevention, the Department of Defense and other partners in many of these effective and coordinated responses to outbreaks over the past year. 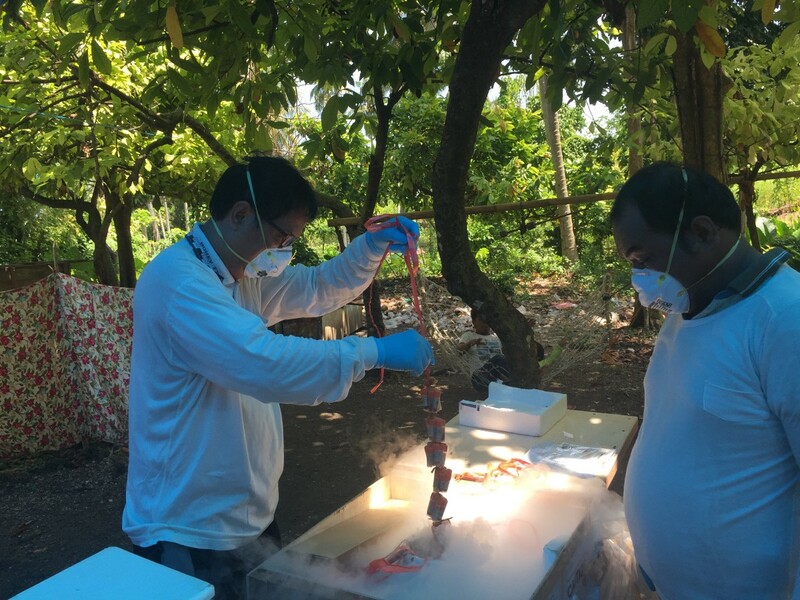 After a small cluster of undiagnosed illness and deaths with haemorrhagic signs appeared in the Democratic Republic of Congo, USAID provided a mobile lab, protective gear and technical assistance to help contain the outbreak. The disease was confirmed within two days as Ebola virus disease (Ebolazaire), the eighth outbreak of Ebola in the country since the disease was discovered there in the 1970s. When chimpanzees in an enclosed sanctuary in Cameroon became ill and lesions and blisters appeared on their faces, USAID provided support during the investigation and sampling that confirmed the presence of Simian orthopoxvirus, the pathogen that causes Monkeypox. Similar to smallpox, monkeypox can infect people through contact with animals and spread from person to person. 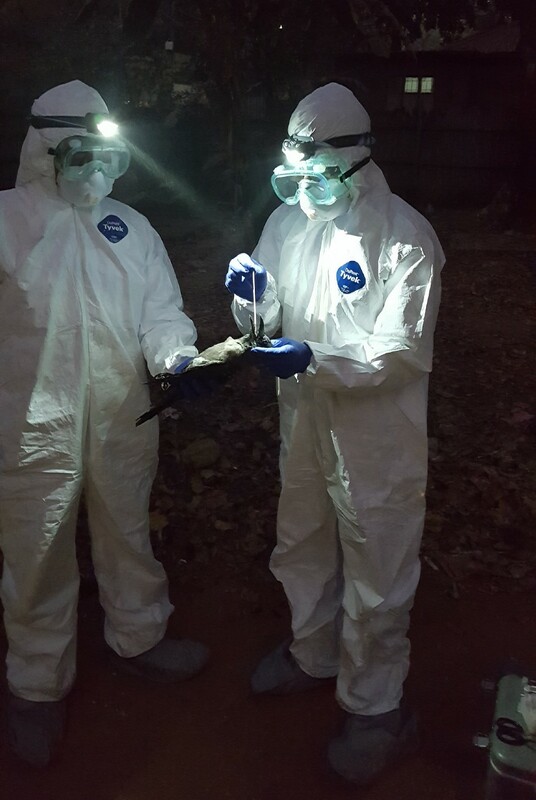 When Ugandan fishermen informed local authorities of a massive wild bird die-off on the shores of Lake Victoria, USAID contributed to Uganda’s effective response to East Africa’s first avian influenza outbreak by providing chemical additives to samples to characterize the virus. Bird flu, is a contagious disease caused by a virus related to human influenza. A possible influenza pandemic caused by a mutating virus that jumps from animals to humans remains a critical threat to global health security. In fact, most recent pandemics have animal origins. USAID is focused on high-risk areas, where people and wildlife share changing landscapes and increasing pathogen transmission risks. In our increasingly interconnected society, a health threat anywhere is a threat everywhere. Outbreaks occurring overseas can, and do, reach the U.S., including H1N1 (2009) in various localities, MERS (2013) in Indiana and Ebola (2014) in Texas. While Ebola was contained with stringent infection-control steps and contact tracing, the cost of treating two patients at one U.S. medical center exceeded $1 million. The GHSA is addressing global infectious threats in a comprehensive fashion and USAID is doing its part to strengthen local response capacity and health systems. About the Author: Richard Greene is the USAID lead for the Global Health Security Agenda. Follow USAID’s Bureau for Global Health on Twitter, Facebook, and Flickr.